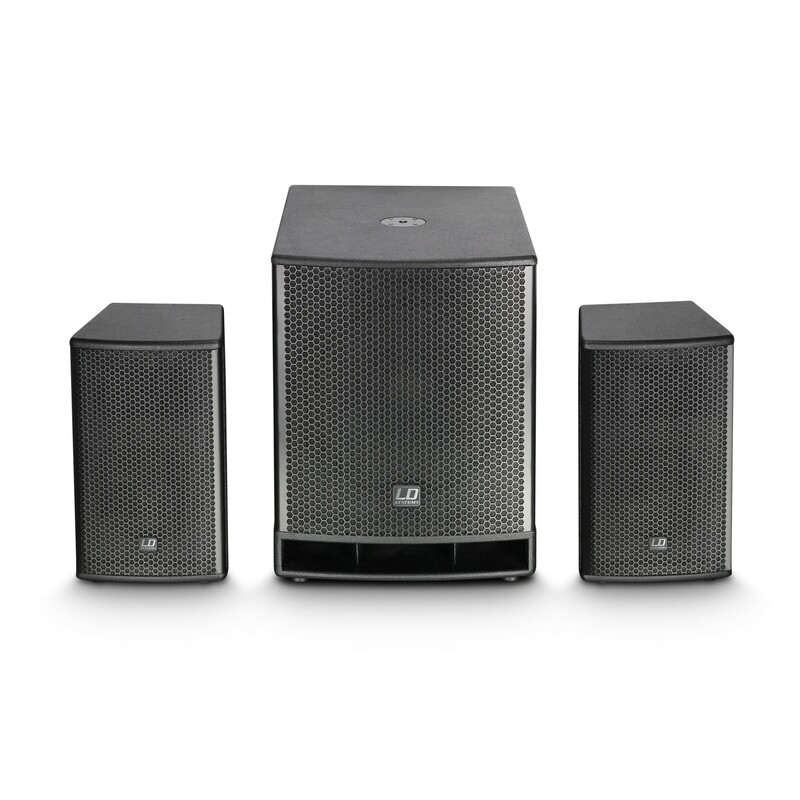 The DAVE 18 G3 is a powerful, yet easily portable subwoofer plus dual satellite PA system delivering crystal clear, dynamic audio with punchy lows in a compact package. 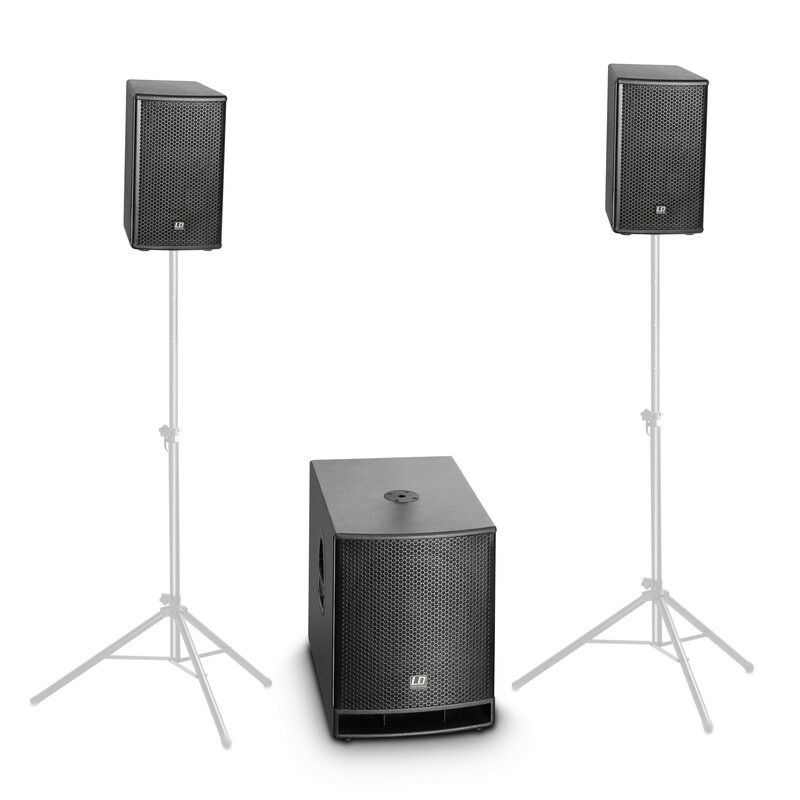 With a 32 Hz – 20 kHz frequency response and peak SPL of 135 dB it is an excellent choice for a wide variety of mobile and installed sound applications. 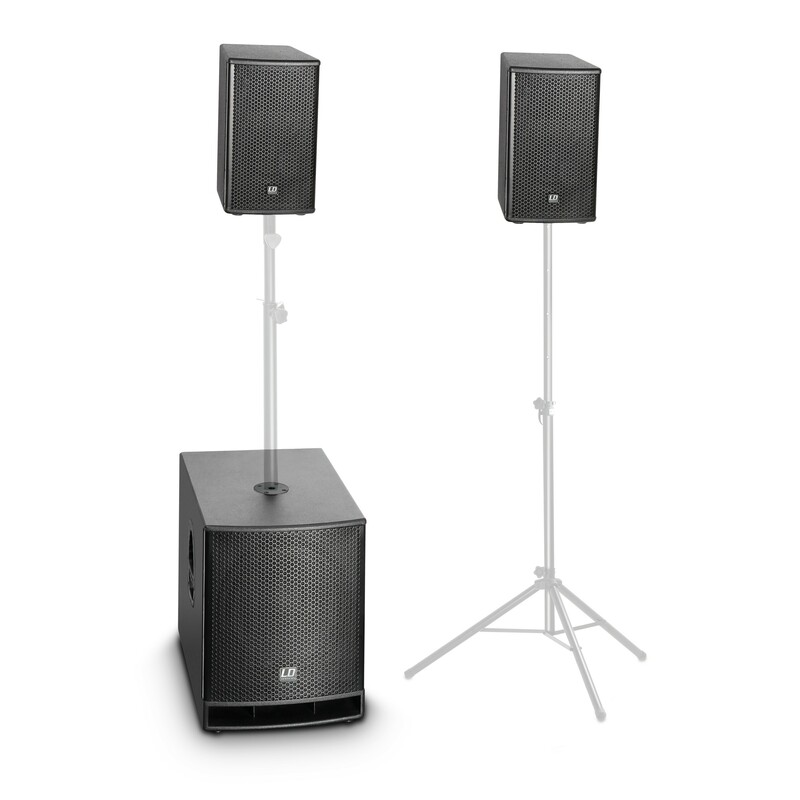 Made from hard-wearing 15mm birch plywood the sealed satellite cabinets are loaded with 10"/1“ coaxial driver while the bass reflex sub enclosure houses an 18" woofer and the Class D amplification modules with a power output of 4.800 watts. 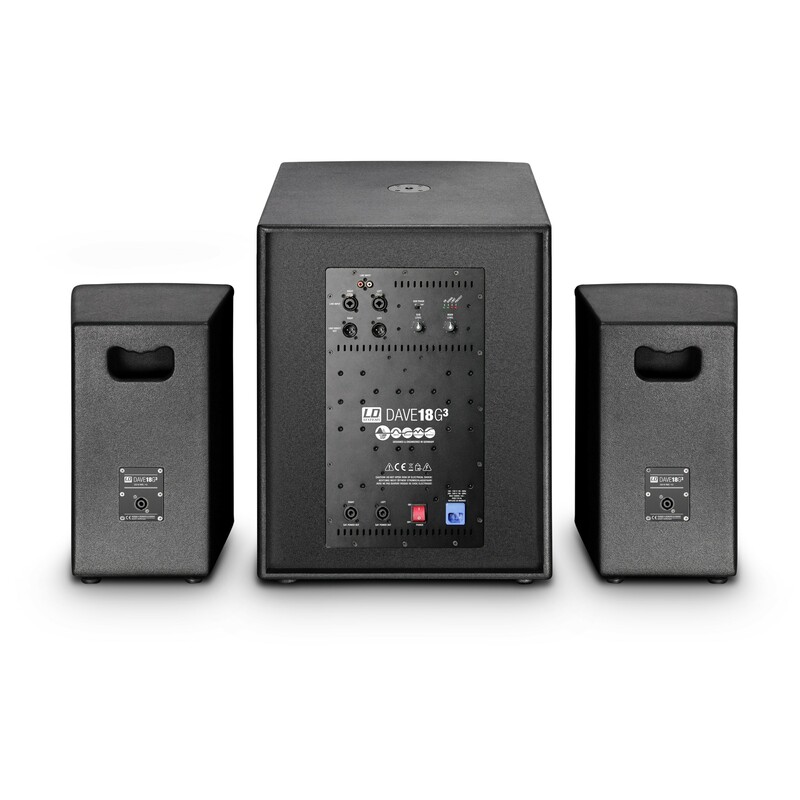 Digital signal processing, multiband limiter, short cuircuit and overcurrent protection ensure superior sonic performance and reliable operation. 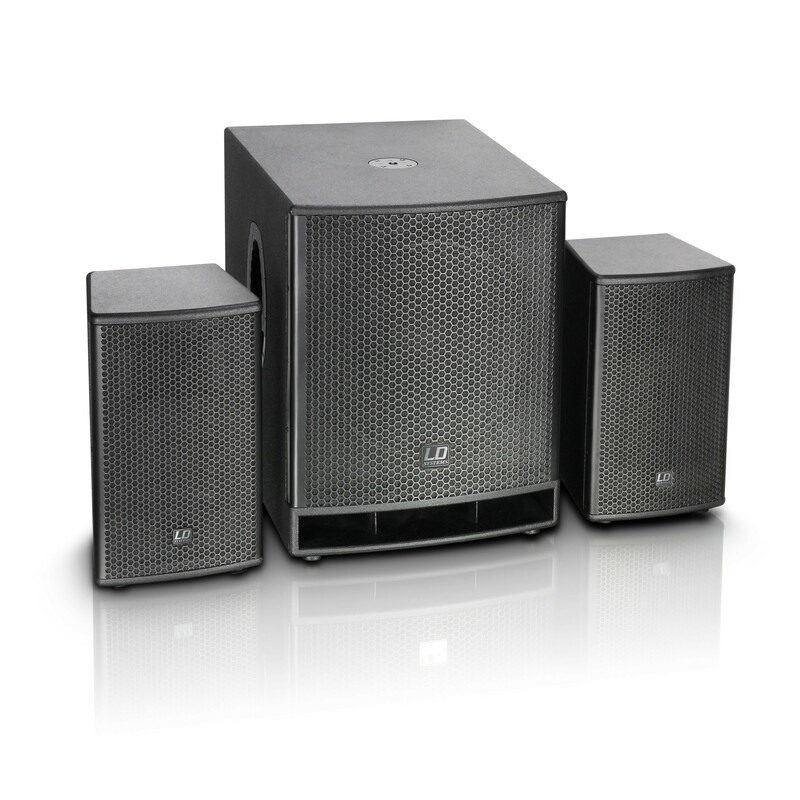 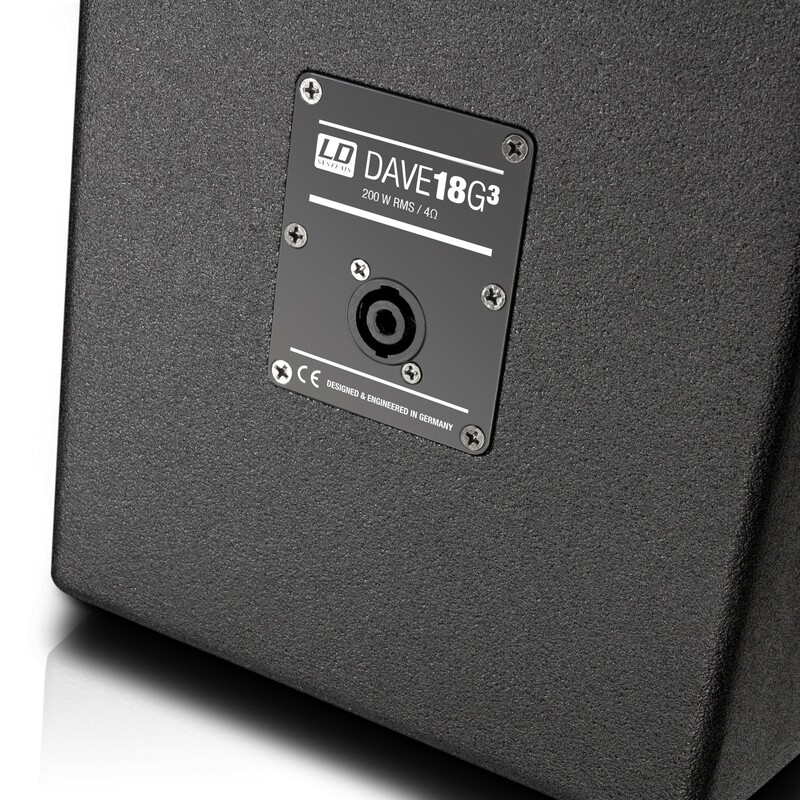 The DAVE 18 G3's subwoofer provides XLR, 6.3mm and RCA input for a wide range of signal sources. 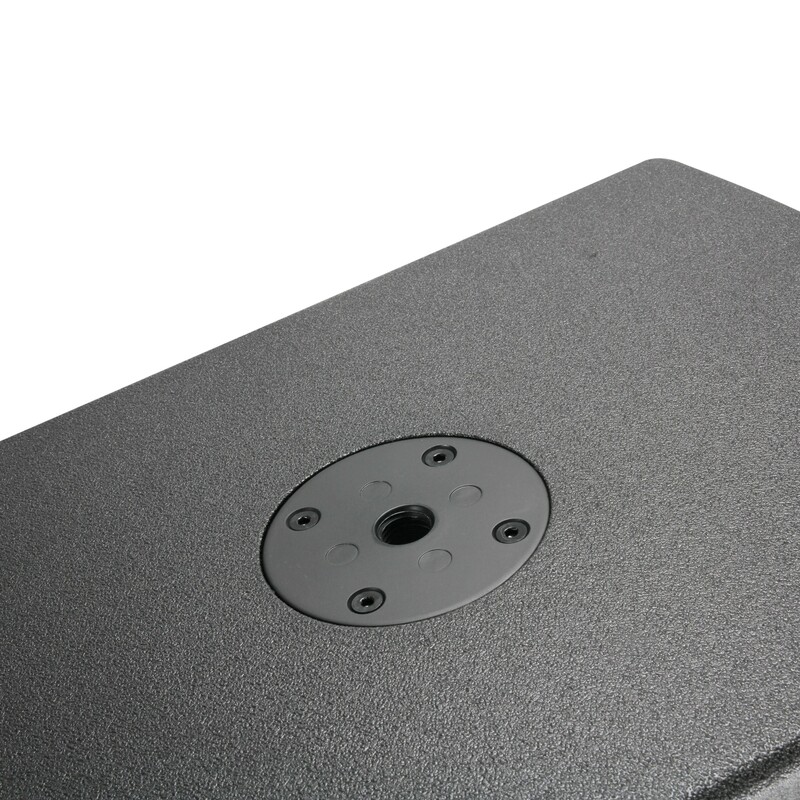 It also features individual system and sub level controls, a phase reversal switch and the satellite connectors are Speakon compatible. 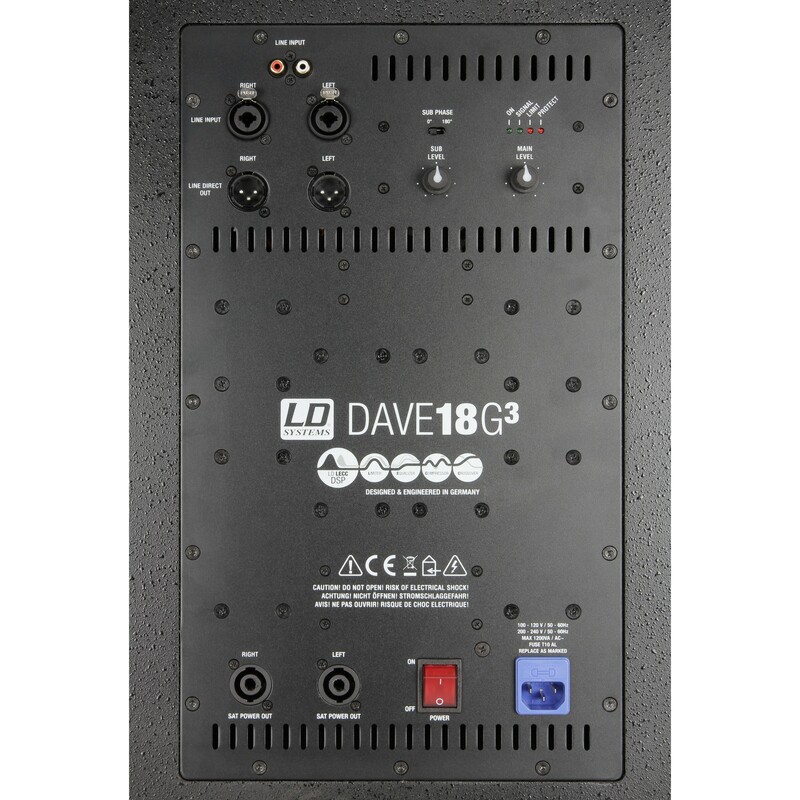 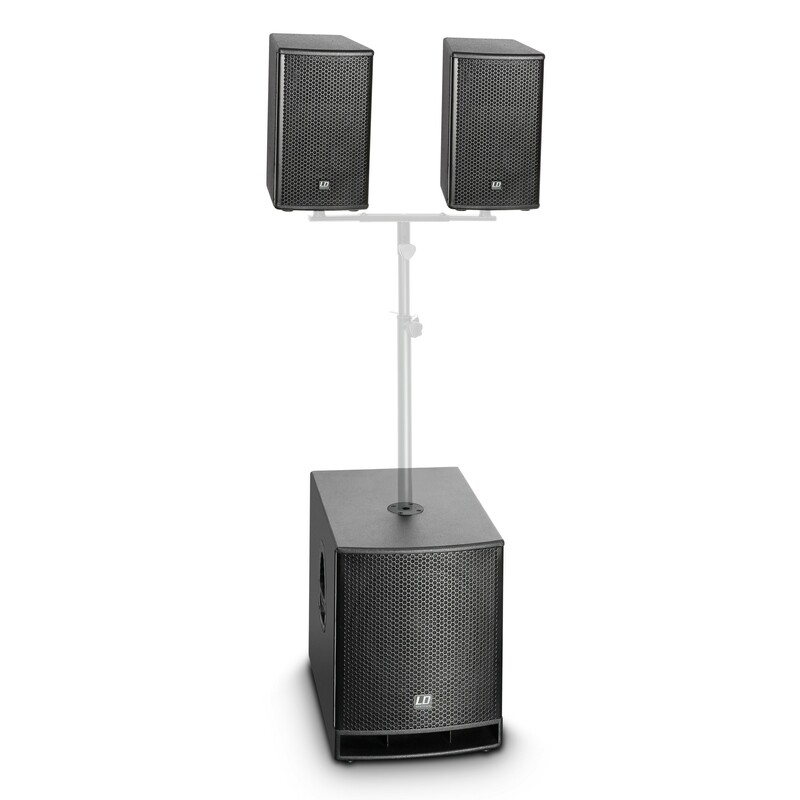 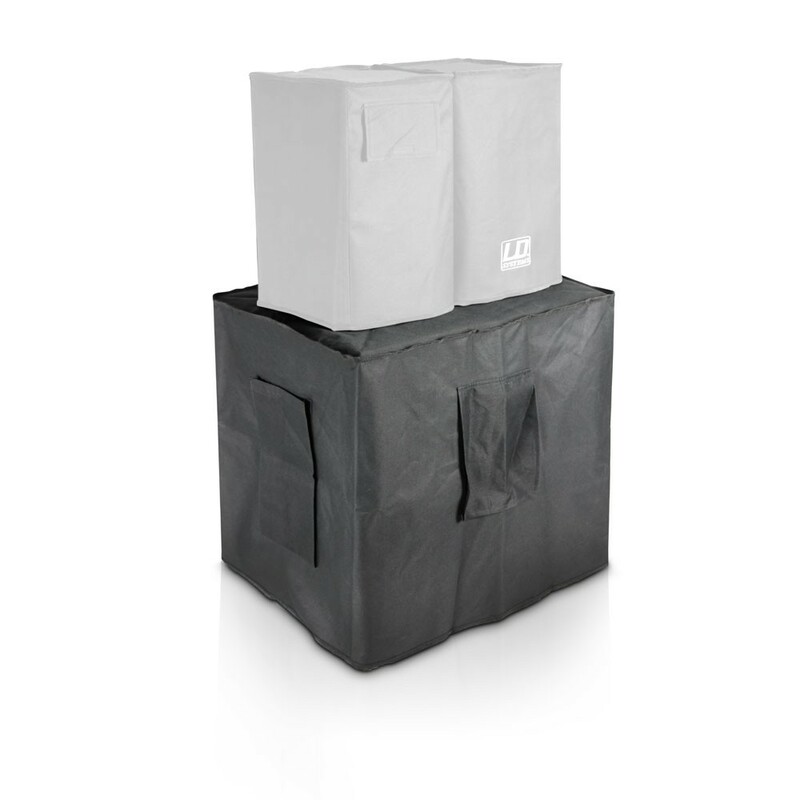 The DAVE 18 G3 hardware includes steel grilles, an M20 pole insert and LD's Evolutive handles on the sub for transport convenience as well as adjustable tilt stand mounts on the satellite speakers for optimum coverage angles. 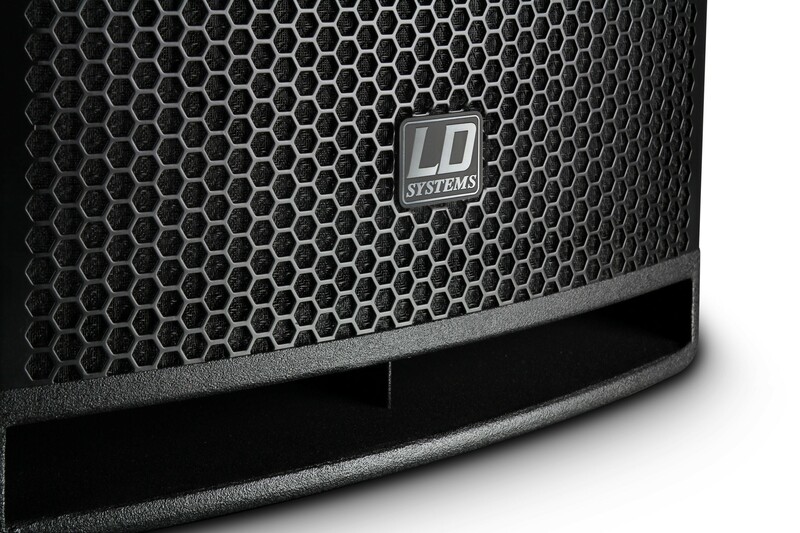 The castor board for the DDQ SUB 18 and DAVE 18 G3 subwoofer and the GT SUB 18A is equipped with high-quality wheels from Adam Hall, which ensure smooth and quiet running. 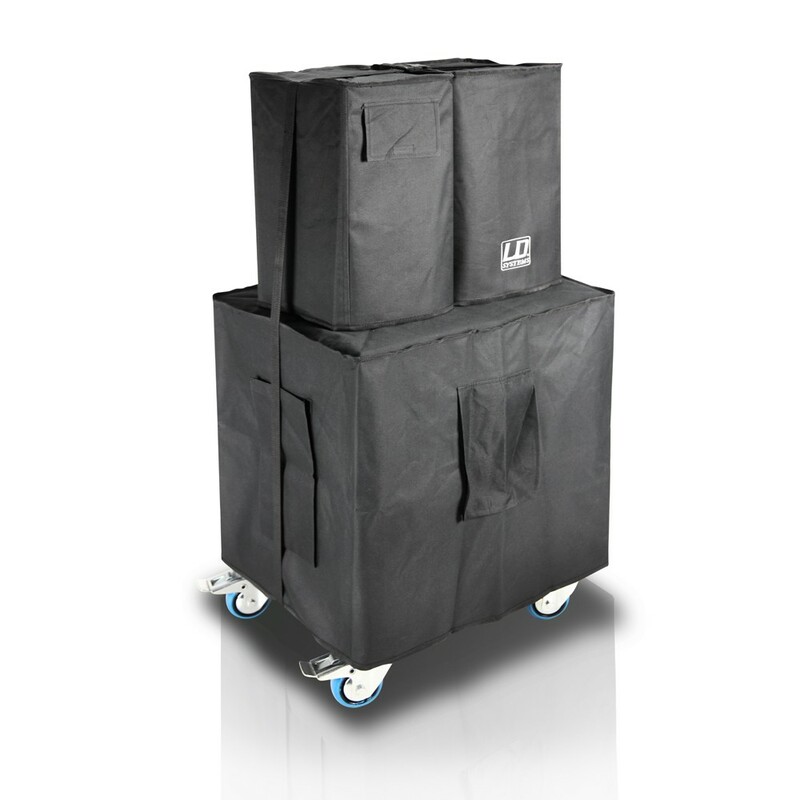 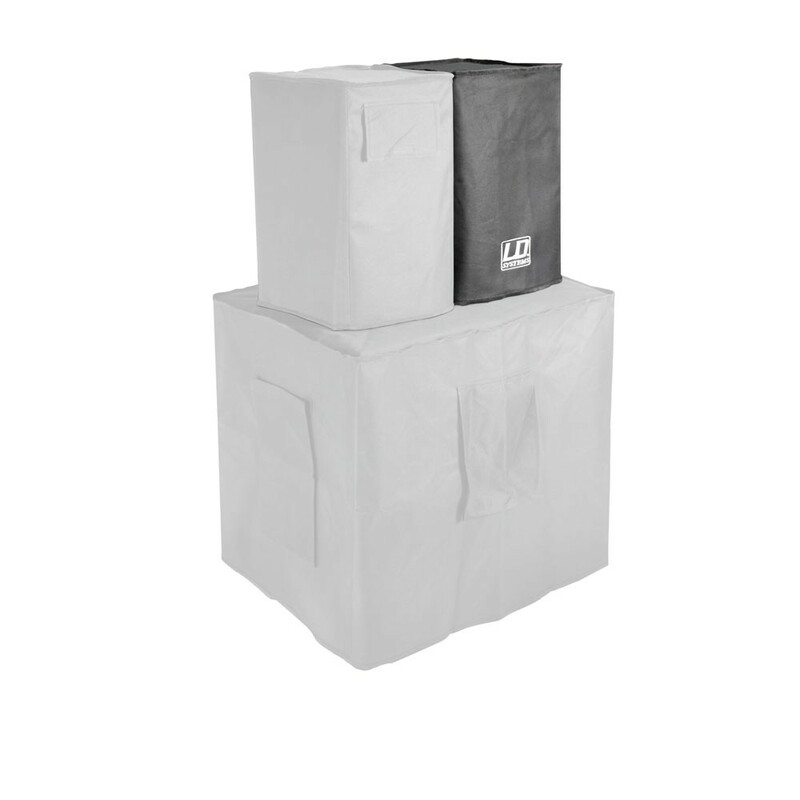 With the help of the brake and 2 locking wheels, safe manoeuvring and installation are made easy. 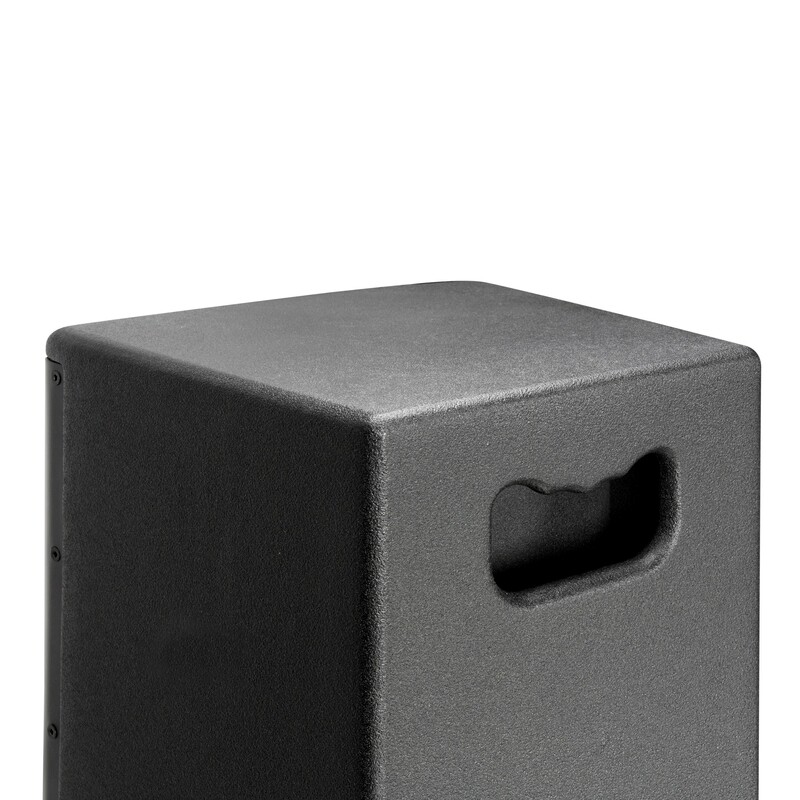 2 milled slots allow for easy carrying. 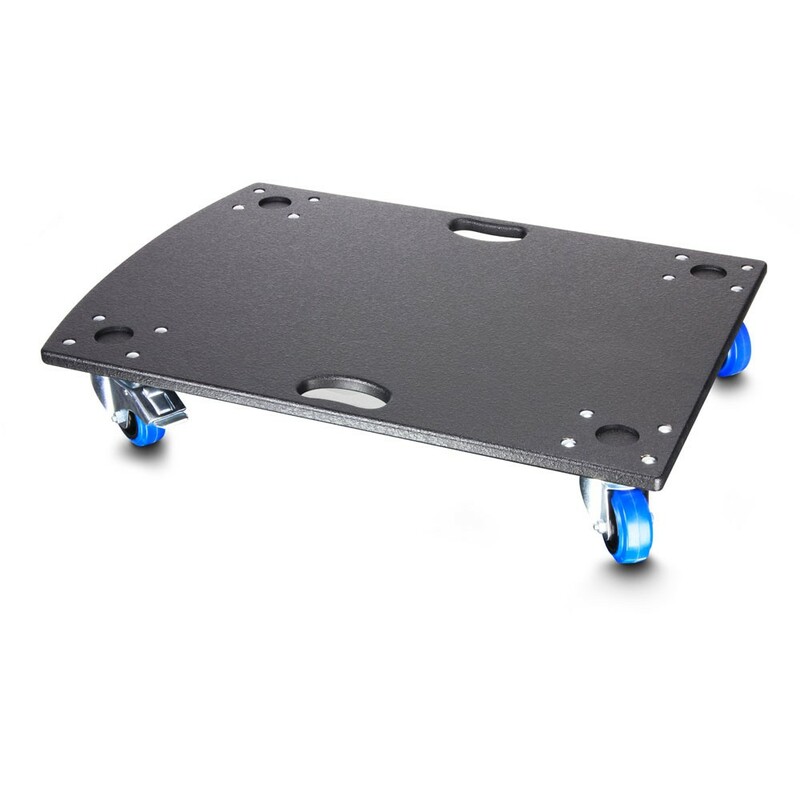 The platform of the castor board is made of sturdy birch.